Sylvia Carol Keen Rife, 70 years of age of Oakwood, VA, went to be with the Lord, Monday, March 11, 2019 at Bristol Regional Medical Center with her family by her side. Born July 6, 1948 in Pilgrims Knob, VA, she was the daughter of the late Marie Matney Keen and Elmer Ritter Keen. Sylvia was a loving wife, daughter, mother, and grandmother. 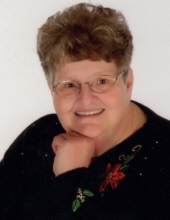 She taught Sunday School several years, attended Pikeville College and Southwest Virginia Community College, and taught twenty-seven years as a substitute teacher at Whitewood High and Twin Valley High School. She worked as a CNA at Heritage Hall in Grundy, VA, and Appalachian Agency for Senior Citizens and did private sittings with patients in their homes and hospitals. She was a member of Hale Creek Pentecostal Holiness Church, Whitewood House of Worship and New Beginnings Church at Cedar Bluff, VA and visited many other churches and felt at home at them all. She loved her family dearly and enjoyed spending as much time as possible with them. She played the piano, accordion and loved to sing, which she did in church and for many funerals. She talked on the phone a lot of hours. She always made the statement “God gave her a gift he did not record in the bible: the gift of Gab”, which she greatly used. Her favorite verse in the Bible was Psalms 37:4, “Delight thyself also in the Lord and he will give you the desires of thine heart; Thesis 5:21, “Prove all things and hold fast that which is good”. In addition to her parents, she was preceded in death by her husband Garry Donald Rife. , and an infant sister Diane Keene. Survivors include her daughter Dawn Lesa Wagner and husband Rodney of Salem, VA; twin sons Garry Ronald Rife and wife Carla Jo of Oakwood, VA and Barry Donald Rife and wife Ruth Ann of Pilgrims Knob, VA; brother-in-law Jack Rife and wife Ruby of Grundy, VA.
Funeral service for Sylvia Carol Keen Rife will be held at the Shortridge-Ramey Funeral Home Chapel of Keen Mountain, VA, Friday, March 15, 2019 at 2:00 p.m. with Reverend Danny Houchins, Reverend Clyde Wimmer and Reverend Ronnie Kinder officiating. Burial will follow in the Greenhills Memory Gardens, Claypool Hill, VA. Active pallbearers will be her grandsons and nephew Gary Dean Rife, Mark Cantrell, Ken Smith, Michael Matney, F. E. Stacy, Richard Woofter and William Compton. Honorary pallbearers will be Tina W Compton, FNP, Dr. V. Modi, Dr. Kalais Modi, Connie Wood, Dean Arrington, Junior Keene and Mack Harvey Keene. The family will receive friends at the Shortridge-Ramey Funeral Home of Keen Mountain, Va, Thursday, March 14th after 6:00 p.m. with evening service to be held at 7:00 p.m. The family of Sylvia Carol Keen Rife have entrusted the care of their loved one to Shortridge-Ramey Funeral Home of Keen Mountain, VA.
"Email Address" would like to share the life celebration of Sylvia Carol Keen Rife. Click on the "link" to go to share a favorite memory or leave a condolence message for the family.